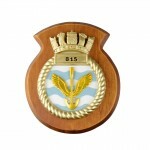 815 Naval Air Squadron unit badge, also known as a plaque or a crest. The 815 NAS units badge features gold wings in the centre of a blue and white circle with a gold twisted rope below a naval crown. 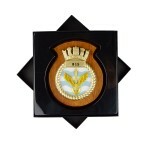 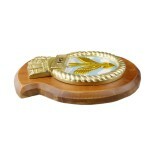 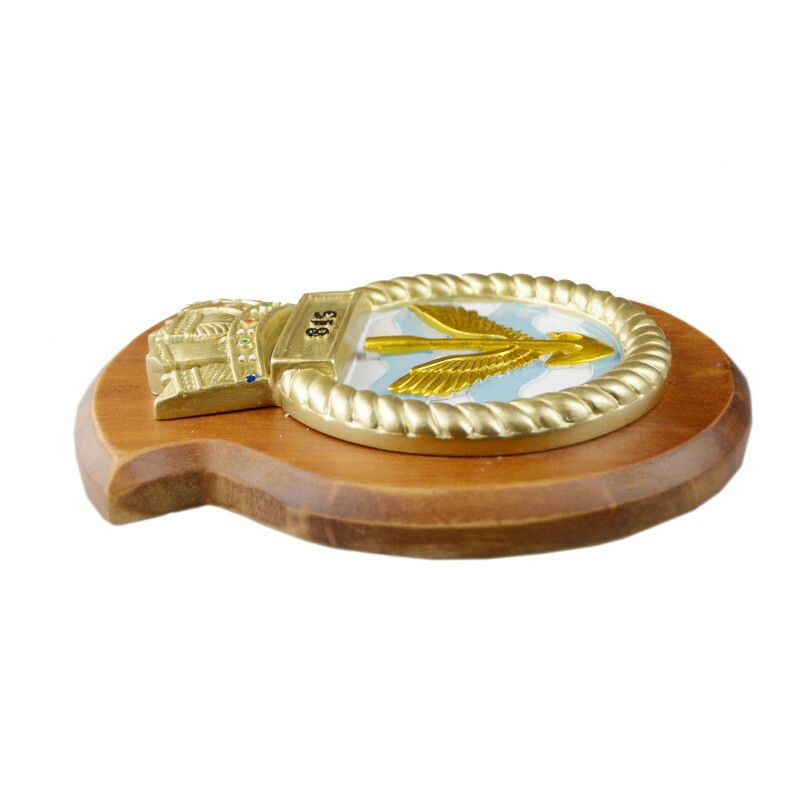 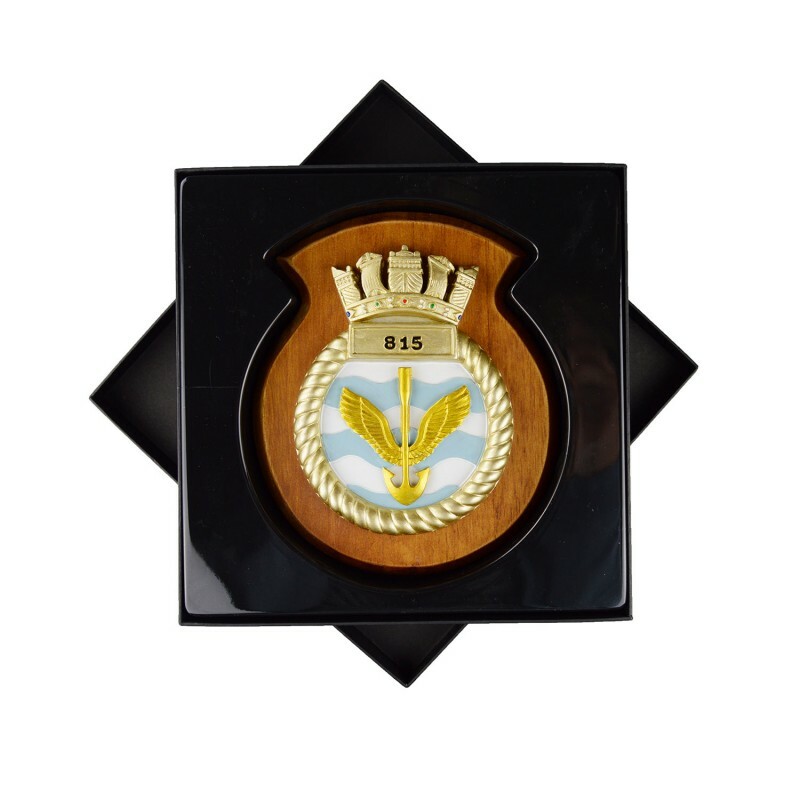 845 Naval Air Squadron unit badge, also known as a plaque or a crest.The 845 NAS units badge featur..